Bharti Airtel has announced the #AirtelThanks program for its user on Friday. Under Airtel's new program, whatever Airtel subscriber generates ARPU of 100 rupees or more on their mobile number, additional benefits will be given without any charge. Airtel has highlighted that under the benefit, the user will get premium digital content access, online shopping vouchers. 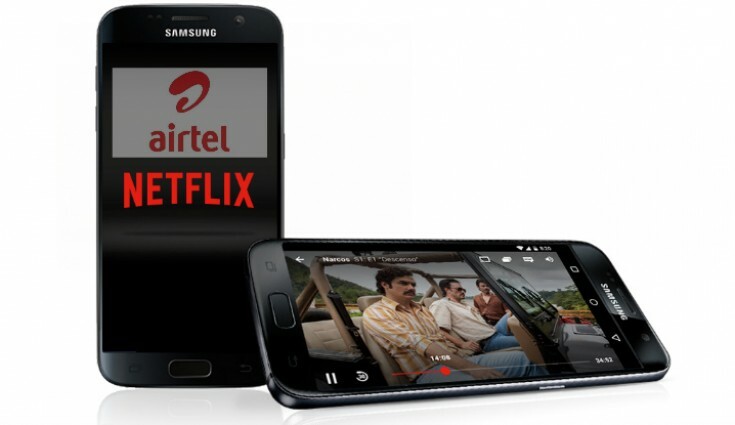 A user with an airtel Infiniti Postpaid plan of Rs 499 or above will be given a free Netflix subscription of up to Rs. 1500 for a three month free of cost. The company said in an official statement that the benefit of the #AirtelThanks program will be released soon for the V-Fiber home broadband user. Airtel has joined hands with the e-commerce site Flipkart. Customers who purchase smartphones during the Big Billion Days cell will get a cashback of up to Rs 4,500 and 100 GB 3G / 4G data, let us know that 10 GB data will be available on every recharge at the next 10 recharge. If you have a NetFlix subscription already, then your account will have to add 1,500 rupees. Subscription gifts will be available through the Airtel TV and MyAirtel app. Postpaid and prepaid customers taking a plan of Rs 199 or upward, will be given access to ZEE5 content. Users will be able to enjoy original series and movies with access to ZEE5 content via the Airtel TV app. Prepaid User If Flipkart buys 4G smartphones during the Big Billion Days Sale, they will be given a cashback of Rs 2,500 on behalf of the company. Cashback will be given as 50 vouchers and every voucher will be priced at 50 rupees. Use of user voucher can do the next 50 recharges of Rs 199, 249, or 448 rupees or within the next 50 months. Apart from this, MakeMyTrip gift voucher of Rs 2,000 is being given.